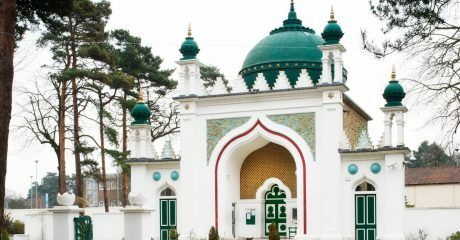 We are now at the end of Ramadan, and on Friday 15th June we will be celebrating Eid-ul-Fitr. The Holy Quran also tells us that the greatest evil is to ignore the suffering of our fellows. That is why we say that Islam means I Shall Love All Mankind. And this is the message of the holy month of Ramadan. Just as an athlete goes through a long period of training, putting his or her body through the most difficult of trials in order to achieve an objective, so do Muslims put their bodies through a hard training to learn that whatever their circumstances, they must learn to smile and be good to others. We pray that after Ramadan we do not forget what we learned during this training. We are facing harsh trials of prejudice against Islam. Muslims are being tortured and killed in Israel, Palestine, Sri Lanka and Myanmar, to name just a few places. Sadly, in Muslim majority countries Muslims themselves are killing each other over political and religious differences and this has continued during Ramadan. We urge our brothers and sisters to take the moral high ground and show that we shall adhere to the highest moral standards even under the most trying of circumstances, as evidenced by our actions during Ramadan.